Operation "Mayan Smiles - Bridging the Gap"
Dr. Moses with his wife, Maribel, with a cleft child preop. Dr. Moses is the Founder and current president of Smiles International Foundation, a national and international organization that organizes and provides charitable surgical care for underprivileged children internationally and in the US. 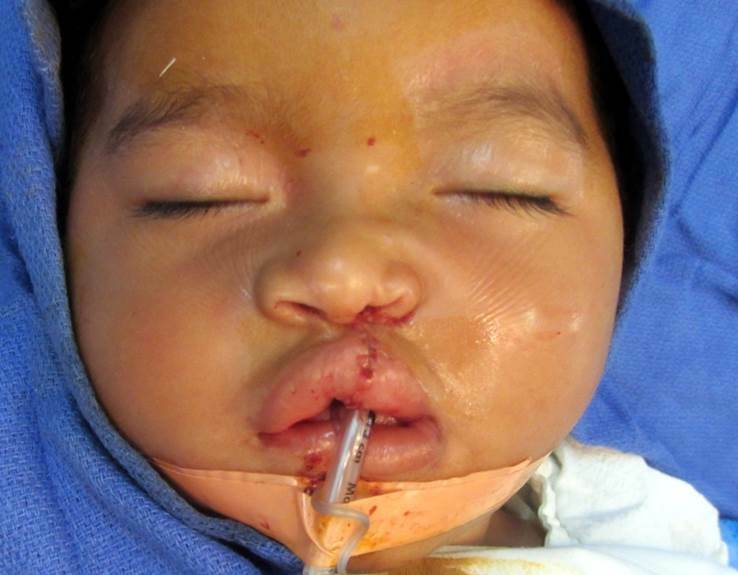 These children have cleft and craniofacial deformities that are treated through a team approach for longitudinal care. This excellent treatment approach allows optimal results for the children’s growth and development. 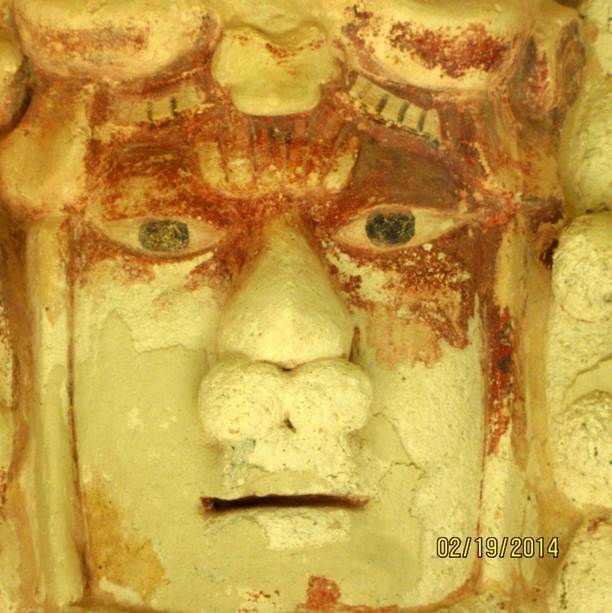 “Our Foundation became aware of the tremendous needs within this remote, yet historical archeological site through a Florida nurse, Tara Shields, R.N. who knew one of our volunteer Craniofacial Surgeons. The surgeon then directed her to contact us via internet correspondence while we were traveling on a mission-project in Costa Rica. She had been volunteering her time providing miscellaneous charitable good deeds in the location. It was then that she observed a child with a large facial deformity and wanted to see if there was something we could do to correct his deformity. 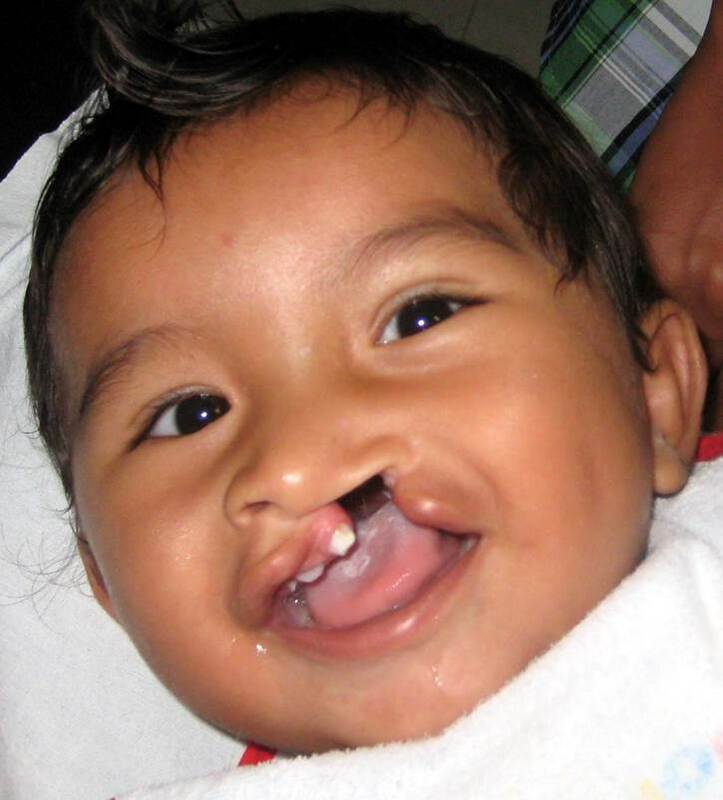 Rather than correct this one child, Rotary-Smiles International forms self-sustainable clinic sites to provide long term (longitudinal) care for all of the children afflicted with these facial deformities for the regions it serves. 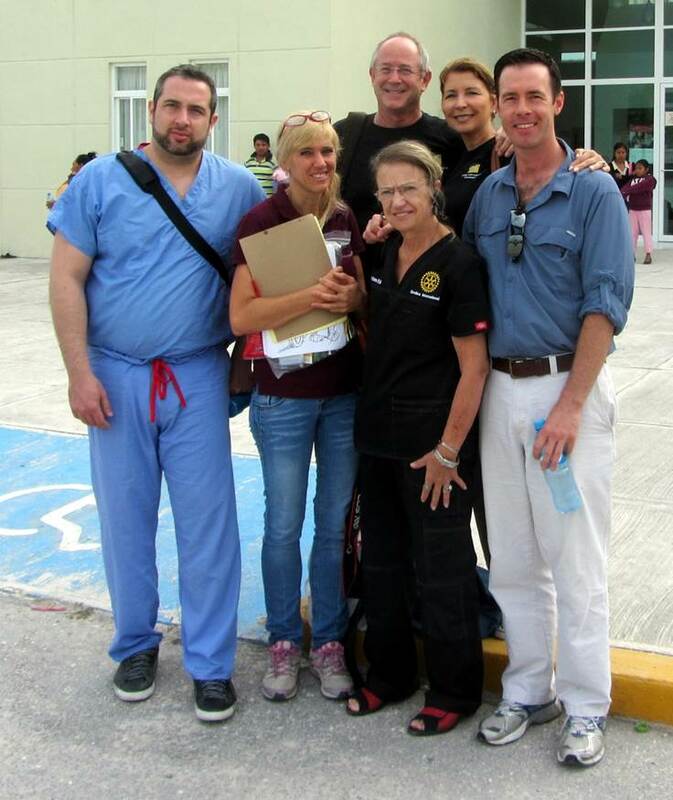 Rotary Clubs, and put into action a core surgical team to travel to the site. There they performed a large screening and treatment planning clinic.They then tested the hospital with pediatric general anesthesia and cleft surgical corrections. The final step was to arrange donation funding for future mission surgical projects. This first project occurred in February 2014. Now this has been established as a recurring treatment clinic with biennial 10 day project-visits by Smiles International in the months of September and February. The next two visits are September 15-21, 2014 and February 2-8, 2015. Final plans are being made to provide this site with a comprehensive team approach for the management of these children. This is being built along with grants for equipment and supplies for the community clinicians to care for the children throughout their growth and development. Dr. Moses is a member and past president of the Carlsbad Rotary Club. Patricia Hunter, R.N. is a member of the Mission Bay Rotary Club and the Head Surgical Nurse for all of Smile International Surgical Clinics. Dr. Nick Pollard, a member of the United Services Rotary e-Club, is the Head Anesthesiologist for all Surgical Missions. Patricia and Nick also serve on the advisory board of Smiles International Foundation, an NGO 501 (3) c charitable organization that Dr. Moses established in the mid-1980's. Dr. Moses states: "Along the way, it became evident that surgical correction of children's deformities had to first come with preparation of some of the hospital/orphanage sites with clean water purification such that the children did not go home to unsafe water situations." Having safe water minimizes the incidence of post-operative infections. North County San Diego Rotary Clubs working through WASRAG, the Water and Sanitation Rotary Action Group has raised funds to supplie the necessary equipment to supply clean water for Smile International Clinics. none of the group efforts could have been done without Rotary Partnerships, both the standpoint of financial matching funds as well as our Rotary-district 5340 talent pool of professionals and service oriented club volunteers. It goes without saying that the success of longitudinal care for these children is hinged directly on the clinic's sustainability over many years. This is only made possible by the host country Rotary Club's involvements and continued ambassadorial relationships.